Shingle Roof Classic White Vinyl Birdfeeder CS 10 in. Wood Shingle Roof Classic White Vinyl Birdfeeder CS 10 in. 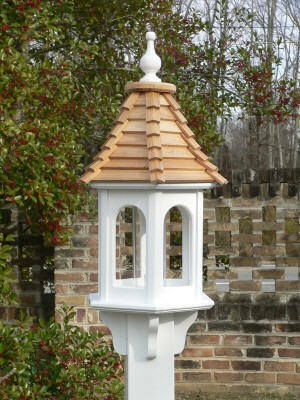 Shingle Roof Classic PVC Birdfeeder CS 10"
This gazebo bird feeder will not crack,rot,split or fade.